Researchers in Britain have confirmed that donkeys don’t cope well with wet, cold weather, and they need extra protection in winter. This is the first study of the hair coat properties of donkeys in any environment and indicates that donkeys are less well adapted to the UK winter than horses and mules. The findings have been incorporated into an updated Defra Code of Practice. Defra – the Department for Environment, Food and Rural Affairs – is the government department responsible for environmental protection, food production and standards, agriculture, fisheries and rural communities. Dr Britta Osthaus, Senior Lecturer in Psychology at Canterbury Christ Church University and Dr Leanne Proops, Senior Lecturer at the University of Portsmouth, both specialists in animal behaviour and cognition, carried out the research in collaboration with international animal welfare charity, The Donkey Sanctuary. They found that donkeys, and to a lesser extent mules, are less able than horses to adapt to colder, wetter climates and therefore require additional protection in the winter to meet their welfare needs. Researchers collected hair samples from 18 donkeys (4 females, 14 males), 16 horses (6 females, 10 males) and eight mules (5 females, 3 males), in March, June, September and December. They measured weight, length and width of hair, as indicators of the insulation properties of the hair coat. Overall, donkeys had significantly lower hair weight and hair length than horses, both in winter and in spring. There were large seasonal changes in hair weight and length for both horses and mules, but not for donkeys. The data for the width differed as mule hair was the thickest throughout the year, with horses taking the middle‐ground, and donkeys with the thinnest hair apart from the summer measurement. They found no significant difference in donkey’s hair coats across the seasons. All three measures of the insulation properties of the hair samples showed that donkeys do not grow a winter coat. The hair coat properties of mules were much closer to those of horses than of donkeys. This is also the first exploration of the hair properties of mules, and the researchers found the hair coat properties of mules were much closer to those of horses than of donkeys. Studies have shown mules to have hybrid vigour in some traits, be intermediate in others, and be inferior to both parent species in others. In general, the results here suggest that their hair coat properties are intermediate between their parental species. “The fact that mules had the hair with the widest diameter is curious but this result should be viewed with caution due to the rather small sample size,” the researchers said. Throughout the seasons, mules had the thickest hair, but in summer there were no significant differences between the types. In spring, there was a significant difference between mules and donkeys, but none between mules and horses nor between donkeys and horses. In autumn and winter, all types differed significantly. The donkeys’ hair coat was significantly lighter, shorter and thinner than that of horses and mules in winter. In contrast, the horses’ coats changed significantly between seasons, growing much thicker in winter. 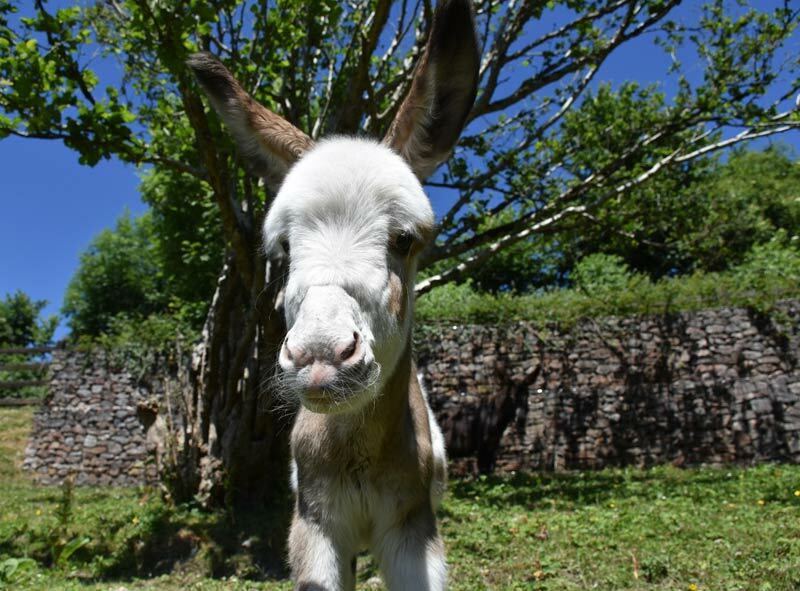 “Despite their fluffy looks, donkeys are not as insulated as ponies. Although they are much hardier in other aspects, they need more access to water and windproof shelter,” Osthaus said. Dr Faith Burden, Director of Research and Operational Support at The Donkey Sanctuary, said: “For many years it has been the ‘common sense’ advice given by The Donkey Sanctuary to ensure that donkeys and mules are given the right protection from our cold winters. Is there no way to stop our government from rounding up our wild horses to sell to the meat man? I keep writing the president,and belong to,Earth justice but never get an answer. Growing up in World War Two we were offered horse meat at our local butcher but my parents refused to buy so we did with out. It seems like too many of horses go to,auction for that purpose. Thank goodness fo you and a donkey rescue I donate to also.